There are lots of reasons to keep your house clean, but spending amount of time every day just to make your house to sparkle is wasting your time. So cutting your cleaning time probably for many of you will be “life salvation”. Here we are offering you the top 10 list for quick and easy spring cleaning project to make your home shining again in no time. Yes it is possible! The trick is staying on top of it. Take a look at our list of easy, simple and quick cleaning methods with tips and tricks and make your cleaning to be your speed cleaning routine with easiest activities. The best thing with these cleaning methods is that they use amazing non-toxic chemicals to clean your home naturally, safely, and cheaply. It is worth to try it! 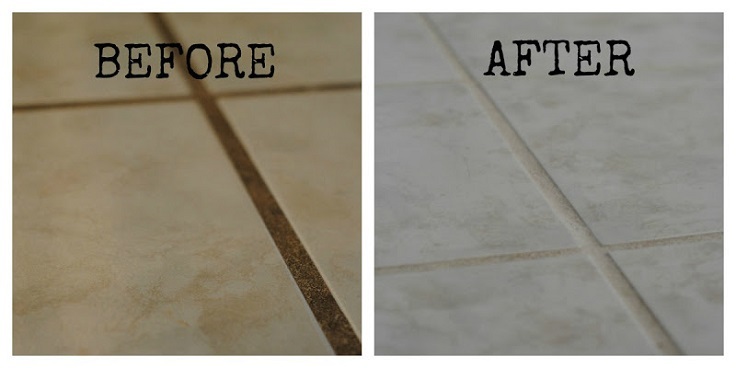 Don’t waste hours scrubbing your floor tile grout with a chemical grout cleaner. Guess what? You can clean it easily with backing soda and vinegar. But don’t worry the smell disappears within moments of being put on the floor. What’s not to love? We really dislike the idea of putting so many chemicals in the place where food is making. 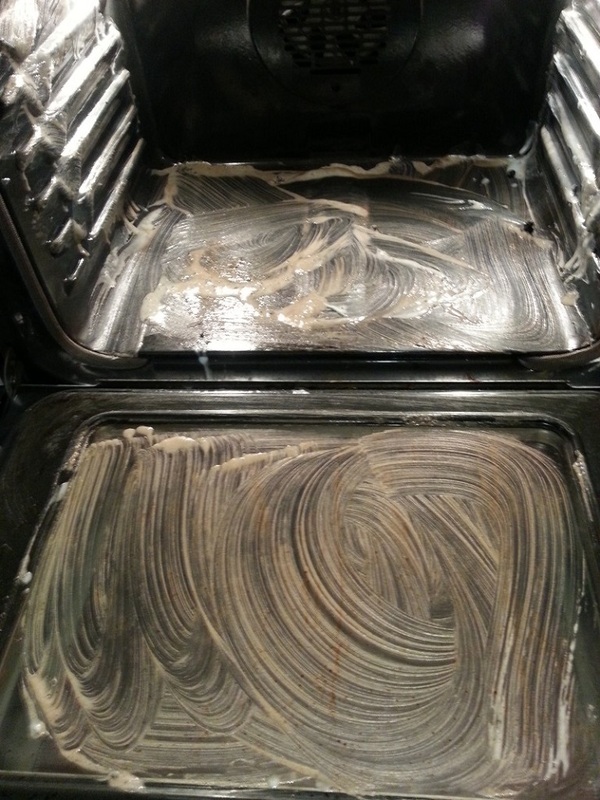 Restore your oven to its prior glory without loading it with toxic fumes. For this project you will need 3-4 drops of dish soap, baking soda, vinegar and lemon juice. Make your oven cleaner from these ingredients but be careful when you are pouring the vinegar on the baking powder, go slow; otherwise, you will get a bit of science experiment mess. Here is one fast project to clean your windows and blinds. You will need bucket, vinegar, old socks and water. Fill your bucket 1/4 full of warm water, then add about 1/2 cup vinegar, and mix it a bit. The secret in this project is the fact that you will use old socks to clean blinds, just soak them in the vinegar/water mixture. You might think it will take forever, but you can get one set of blinds done in about 10 minutes. 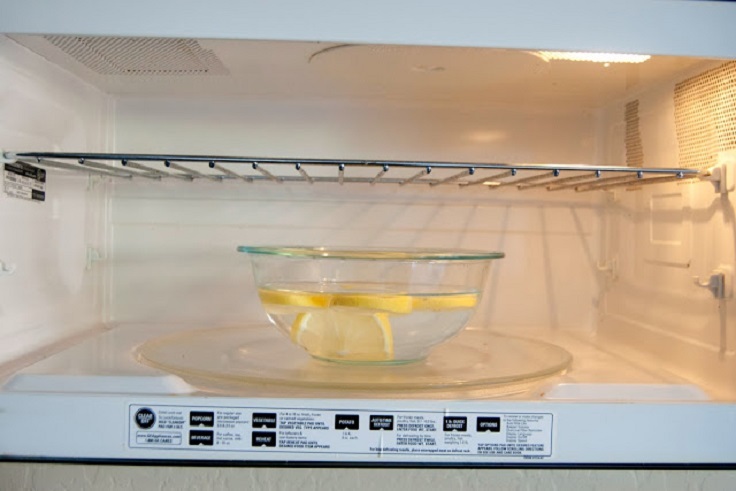 An awesome and super simple way to clean your microwave is using lemons. Super simple trick! Fill a microwave save bowl full of water, add a few slices of lemon, and microwave it on high for 2 minutes so that the steam created can loosen whatever lovely leftover food is stuck. The lemon slices leave it smelling nice and fresh and the steam helps with any excessive scrubbing. You think that the dishwasher is nearly impossible to clean up? Here you can find simplest cleaning method that will change your mind in a minute. 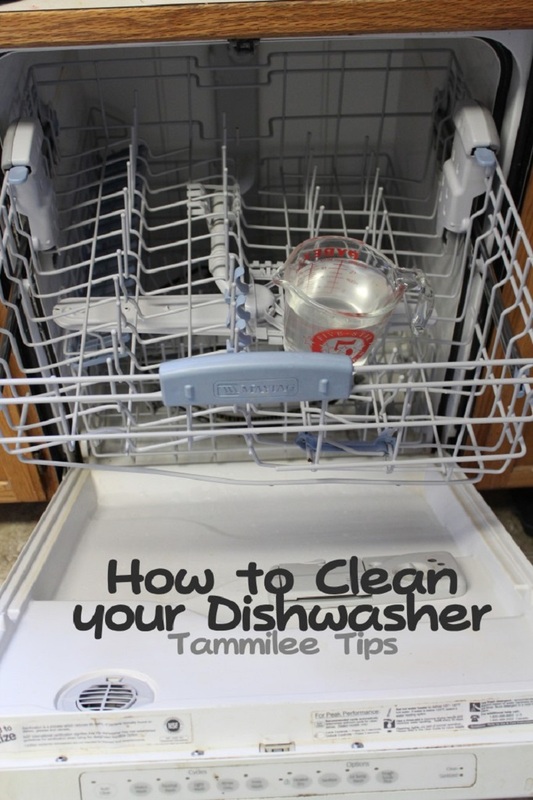 Only you will have to place vinegar in a glass measuring cup on the top rack of the dishwasher and ran a full cycle on hot water. Then spread baking soda on the bottom of the basin and ran the dishwasher on a half cycle with hot water. That`s all! You have used your coffee grinder for grinding a coffee and now you what to grind herbs but, how do you keep your dry herbs from tasting like coffee beans? The solution is uncooked rice! 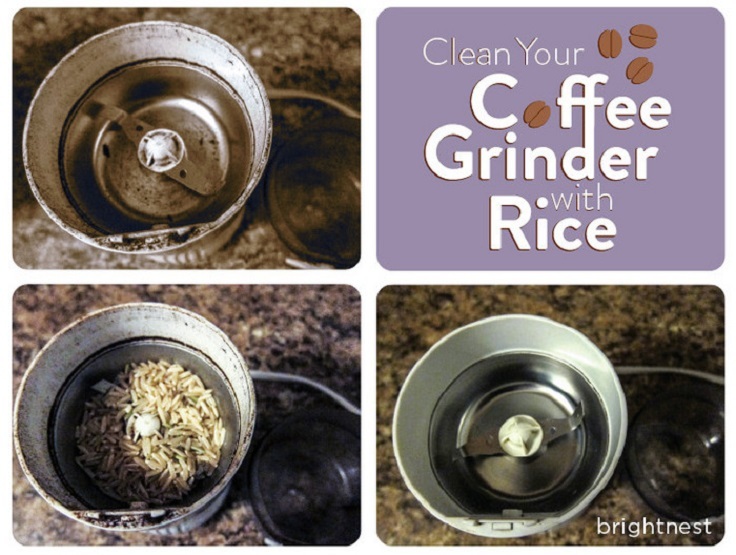 Tossing a handful of rice in your grinder will absorb stale odors and clean out residual grounds and oil so it’s fresh for its next job. The best thing is that will only takes about 5 minutes. Many of you who have small kids know that they love to draw on the sofas. So if your sofa is destroyed from ink pen here you can find an easy way how to clean the mess. For this project you will need rubbing alcohol and sponge, then scrub, scrub, scrub. This method is very easy and your sofa will look brand new again. When you are cooking a lot, the oil and grease spatter get heated and reheated and then pretty soon you have a disgusting coating that will not scrub off ever. Don’t scrub anymore! 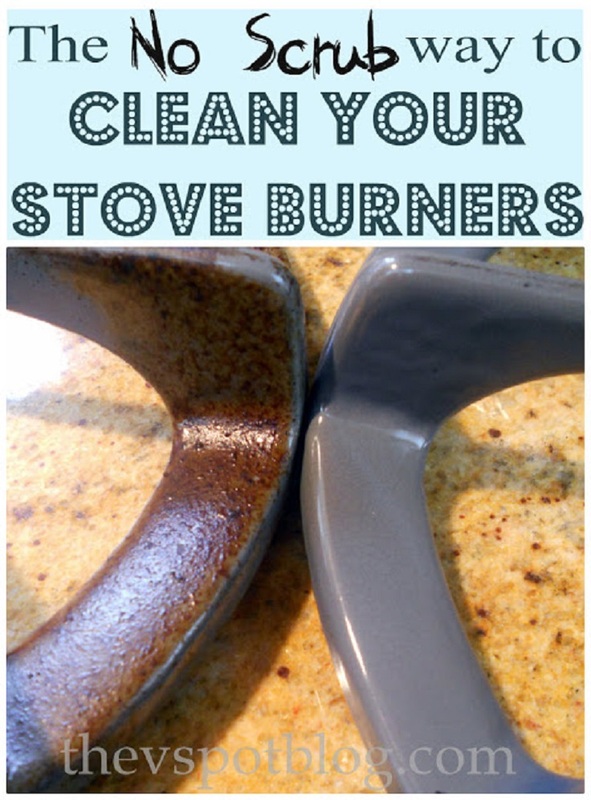 Take a look at this cleaning project and you will learn how to clean your stove burners very easy and simple. Prepare your mattress for a calm sleep. Make a mixture of 1 cup of baking soda and few drops of lavender essential oil, or some of your favorite scent, and then shake it well. Next, spread the mixture across the bed and let it sit for 1 hour. 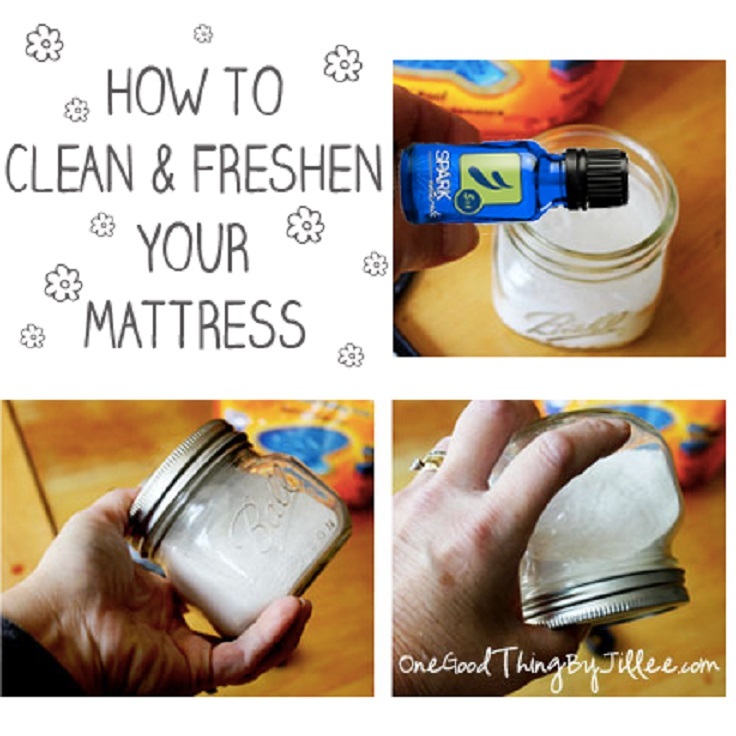 This will help kill dust mites and make your mattress smell fresh and clean. The lavender oil helps calm stress and anxiety and promotes sleep. Top priority for the spring cleaning of your home is the carpets. It doesn’t have to be difficult to remove stubborn spots and giving your carpets a little refresh. Here you can find easy step-by-step method for removing spots and cleaning carpet. Mix equal parts hot water and vinegar and pour in your carpet cleaner’s reservoir tank. It doesn’t get much easier to clean your carpets than that!